Savate takes its name from the French for "slipper" or "old shoe". Its history traces back as far as the 1800’s, with French sailors who fought on ships during long ocean voyages. The style was based on kicking for long range and power, while using the arms for counter-balance due to the unstable foundation the ocean created. The Assault: light contact and controlled strikes, knockouts are not allowed during sparring. The Combat: heavy contact with the objection to knockout the opponent during sparring. The Savate de Rue: street application. The Assaut, as well as the Combat, are the sport aspects of the system; which work the principles of timing, footwork, rhythm, and proper techniques for the ring. The strikes consist of closed fists and foot kicks while not allowing the use of knees, elbows, and shin kicks. Savate, however, like most Martial Arts did not start out as a sport, but was a form of self-defense used on the streets of Paris and Marseille. This style of Savate was known as "Savate de Rue" and would use the entire body as a weapon. This system of Savate is very devastating and uses the principles of linear movement, penetrating power, piercing strikes, and fast almost blinding speed. This system has no boundaries. It utilizes knees, elbows, head butts, finger spears, sweeps, take downs, joint locks, and throws as well as bladed and blunt weapons. 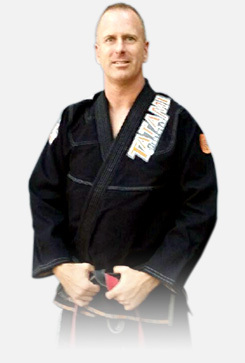 At West Coast Martial Arts Academy we proudly teach all three aspects of this rare style. Savate is a complete system offering fitness and self-defense; while taught in a safe, controlled environment that promotes understanding both physically and mentally.